happy thanksgiving! and to those who don't celebrate, happy black friday eve! i got this essie at trade secret in a discount bin. it was one i had been eye-ing for a while, mostly because i thought the name was funny--wife goes on. 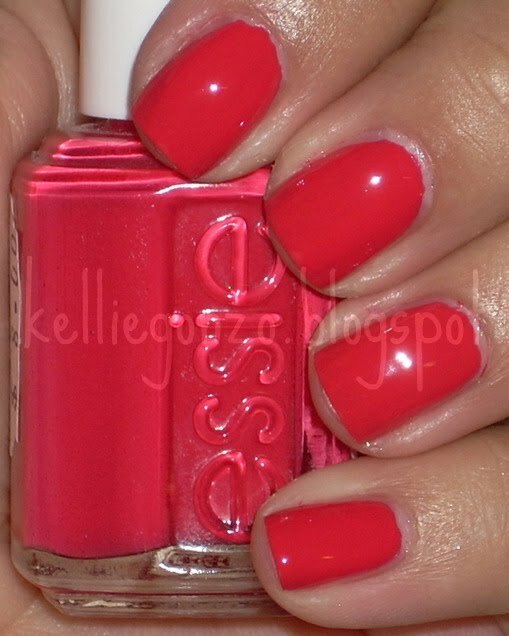 it is from the "staring over" collection, which essie put out as a "salute" to the independent woman? i guess celebrating divorce. yeah...no comment haha. anywaaaays, it is a pretty watermelon-ish berry color that leans on the red side. 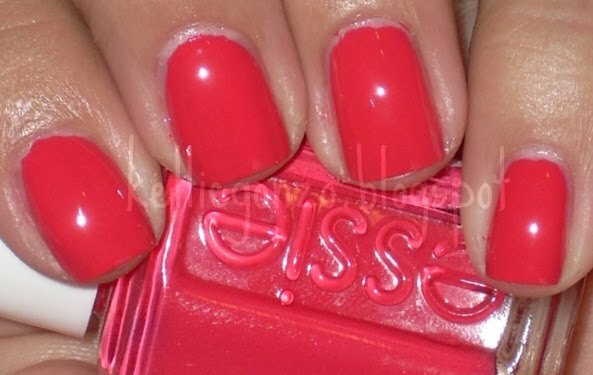 essie's website says this is "a bold true red" but i have to disagree with them on that one, because a true red IMO isn't as pink as this baby looks to me but meh whatev. i'll have to do a comparison of this and essie's watermelon soon. it is a little darker on the nail than it looks in the bottle if you notice, which i find interesting. this is two coats (very opaque and non streaky) and no topcoat.